Saint Viator Varsity and JV both win Chicago Catholic Hockey League Championships in 2018-2019. 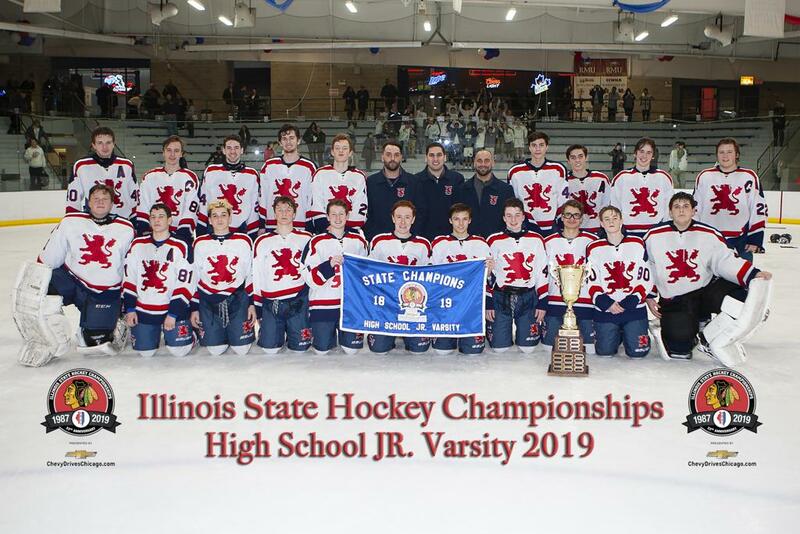 The Saint Viator Hockey program has had a long tradition as one of the premier High School Hockey programs in the State of Illinois for over 40 years. 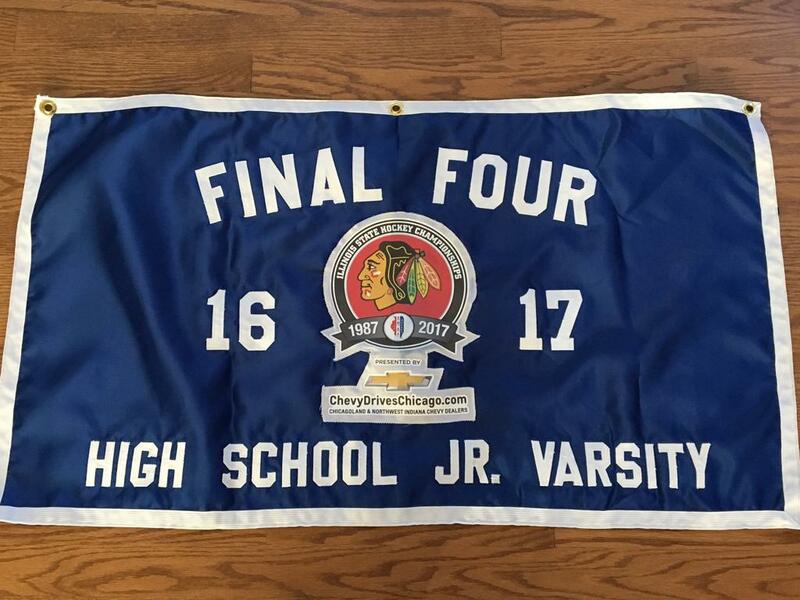 The team plays in the Chicago Catholic Hockey League which is perhaps the most competitive High School Hockey league in the State producing several State Championship teams and finalists over the years. 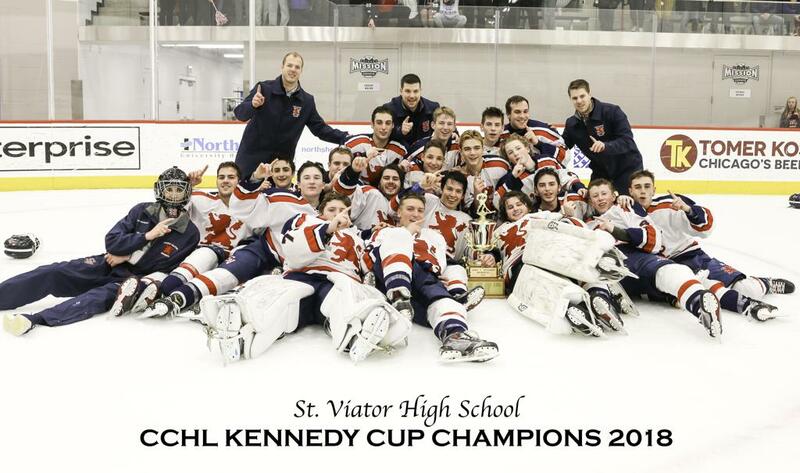 The Saint Viator Hockey team has had many successes over the years including 3 State Championship Finalists, 2 Scholastic Cup Championships and has won the competitive Blackhawk High School Hockey Classic Tournament as well as the Loyola Thanksgiving High School Tournament. Several of our players have also gone on to play in the junior leagues as well as at prep schools and the collegiate level (both varsity and club). Among the many goals of the program, we strive to develop all of our players on ice skills as well as teach them valuable off ice lessons and principles in an effort to assist in their development as young men and women. 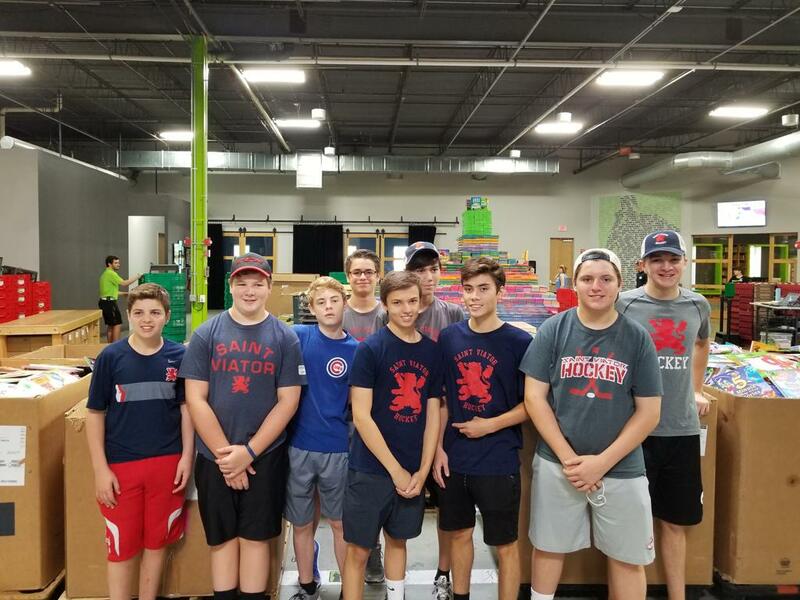 As a Saint Viator Hockey player, you will have the opportunity to be a part of the rich Saint Viator Hockey tradition and to represent Saint Viator and its values together with your fellow classmates. 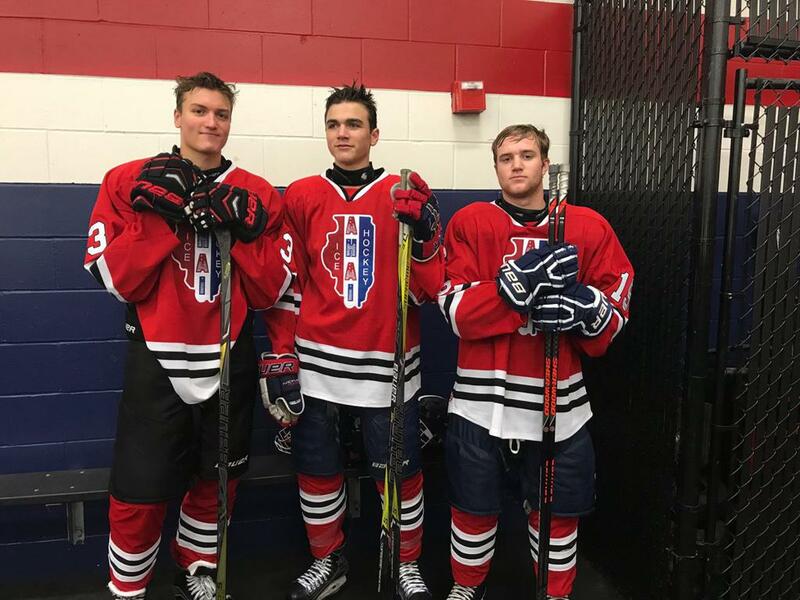 AHAI named only 20 young men to the Illinois Fall Showcase roster - and three players are from Saint Viator! The Illinois Fall Showcase team will play four games, against the Wenatchee Wolves, Metro SE Moose, Metro NE Loons, and the South Gray Ducks in Blaine, Minnesota, September 20-23, 2018. Road trip anyone?? Saint Viator Coach TIM BENZ awarded as 2018 Illinois COACH OF THE YEAR, supported by assistant coaches, Greg and Chris Benz. 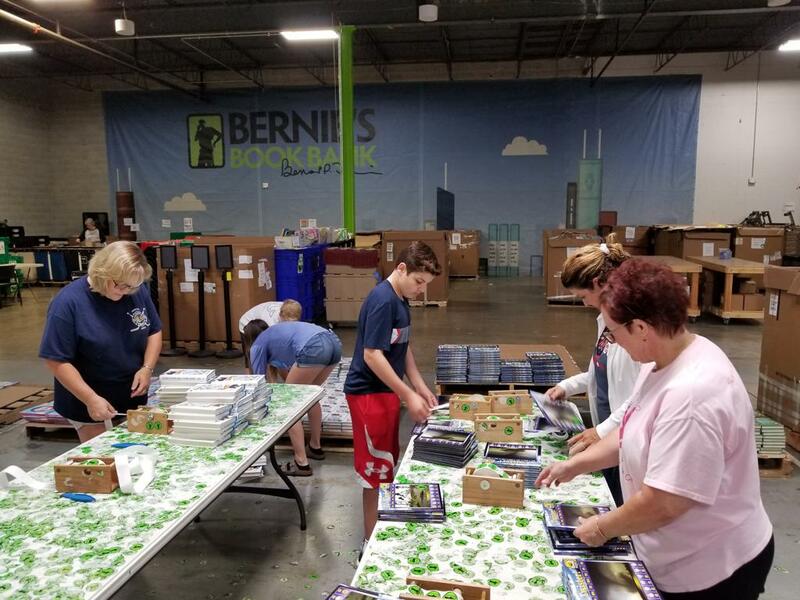 Saint Viator Lions volunteer at Bernie's Book Bank. 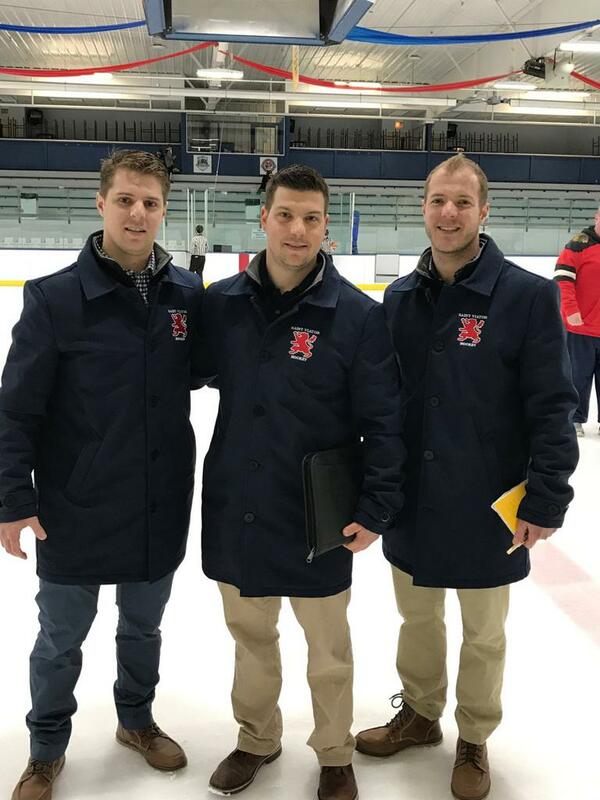 I am pleased to announce that Tim Benz has been named the Hockey Director and Head Varsity Coach for Saint Viator High School’s Hockey Program. Tim played youth hockey for the Glenview Stars and Glenbrook South. After graduating in 2005, Tim played collegiately for DePaul University and professionally for teams in the AAHA and FHL. Tim began his coaching career in 2010 with the Glenview Stars and is currently the Head PW AA coach as well as the Director of Player Development and Skills for the Stars. Tim joined the Loyola Gold coaching staff in 2014 where he is currently the Co-Head Coach. Tim is President and coach for Ultimate Athlete, athletic training and skills development, and a Delaney hockey skills instructor. Tim currently works for CDW as an International Sales Analyst. Joining Tim on his staff will be his brothers, Chris and Greg, along with Sal Calace. Chris Benz grew up in Glenview, playing hockey for the Glenview Stars, Chicago Mission and Glenbrook South. Post high school, Chris played for Indiana University and where he was selected to play in the World University Games. After college, Chris played professionally for teams in the ECHL and FHL. 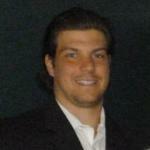 Chris started his coaching career in 2012 with the Glenview Stars and is currently an assistant coach on Loyola Gold. Chris is also a skills coach with Delaney Hockey and Ultimate Athlete and is currently an employee at Zotos International where he is a Sales Manager/Analyst. Greg Benz, like his brothers, grew up playing hockey for the Glenview Stars and Glenbrook South High School. Greg went on to play at Indiana University with their ACHA Division I team and professionally in the FHL. Greg began coaching in 2013 with the Glenview Stars. From 2014 to 2016, he was General Manager and Head Coach at Indiana University. He is currently coaching with the Glenview Stars and Chicago Young Americans and is an instructor with Delany Hockey and Ultimate Athlete. Greg also works in epigenetic research at Loyola University Chicago. Sal Calace joins St. Viator for the 2018-2019 season as a Varsity Assistant coach. Sal, a goaltender, grew up in Elmwood Park and attended New Trier High School for two years before transferring to Fenwick High School, where he graduated. During this time, Sal was a 2-time Metro North All-Star (JV ’02-’03 and Varsity ’03-‘04), 2-time CCHL All-Star (Varsity ’04-‘06), 2-time Kennedy Cup champion (Varsity ’04-‘06), CCHL MVP (’05-’06), 2-time Final Four in State (JV ’02-‘03 and Varsity ’03-‘04) , and a runner up in State (’04-’05 Varsity). Sal played against all three Benz brothers (Glenbrook South) throughout his high school career. Post High School career, Sal played for Indiana University in the ACHA (’06-’10) where he was selected as one of 3 goalies to the inaugural GMHL All-Star Game (’08 - ’09) and was runner up in the DII National Championship (’07-’08). Sal continues playing hockey in goal for two different Adult Hockey teams. Sal, 30, works as a solutions consultant at Oracle Corporation. Tim Benz and his staff’s term with the Saint Viator Hockey Club will begin with the 2017 Spring and Summer programs. Tim, his brothers, and Sal are relinquishing all other team coaching positions to focus their attention exclusively on our program. Saint Viator JV Hockey played a spectacular game against Providence JV, however, did not bring home the win, with a heart-breaking score of 2-1 for Providence. Congratulations to the hard-working young men who gave their heart, soul and Lion Spirit. They gave us a lot to be proud of this season! Special thanks to the coaches, Vince, Joe and Mike for inspiring the team to always do their best and push their limits to greater heights. A special thanks for the support of the board and especially to the glue that pulls this all together... the parents! Home of the Saint Viator Hockey Team! ROY PERFETTI Returns For Another Great Year As The Goalie Coach For The Saint Viator Hockey Club! The Saint Viator Hockey Club Would Like To Thank THE JOSH STRUTZ FOUNDATION For Their Continued Support! 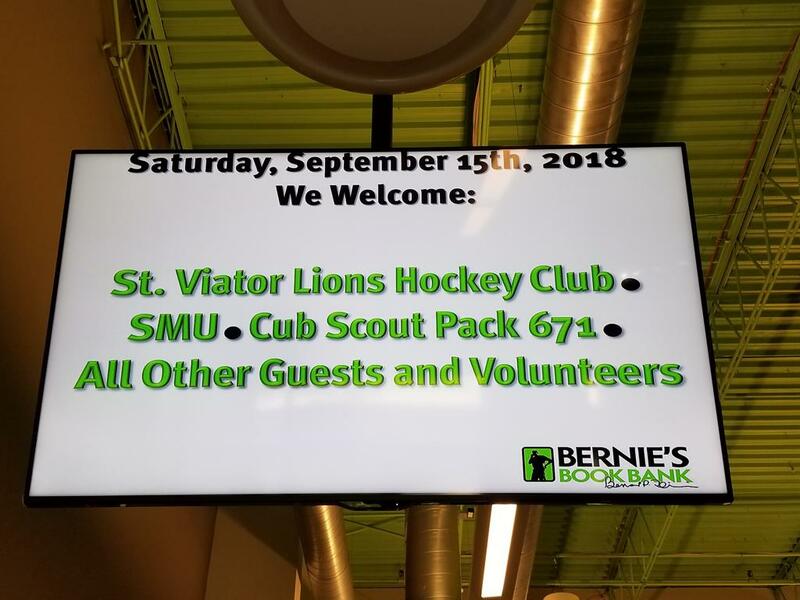 ©2019 Saint Viator Lions Hockey Club / SportsEngine. All Rights Reserved.